Canelo Alvarez fights Gennady Golovkin in Las Vegas on Sunday 17th September at around 2am. Last month we had the highest profile fight for some time with Mayweather vs McGregor. Although very lucrative financially, most were aware that the fight was not a serious one, and was more of a publicity stunt than a serious boxing bout. While the Alvarez Golovkin match won’t receive the same mass media coverage, there is no doubt that this will be the superior fight. Golovkin has described the fight as the “biggest of this era” and largely (casting aside the usual hype leading up to a fight) his claim is very fair. 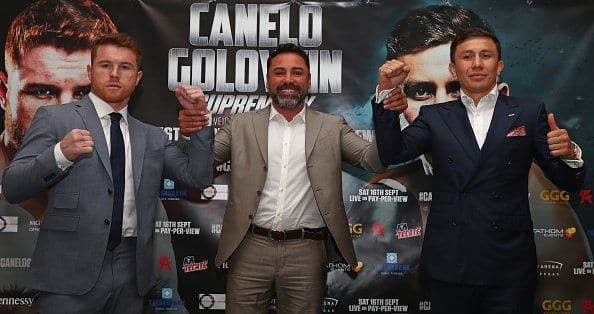 Golovkin holds the WBA, IBF and WBC and middleweight titles, although only the first two are up for contention as Alvarez ‘s poor relationship with the WBC means he will pass up the WBC belt should he win on Saturday. That means should Alvarez win on Saturday night, that particular title will become vacant. There is no clear favourite for this bout, with bookmakers marginally favouring Golovkin. Golovkin’s winning record is impressive. He is unbeaten, and of his 37 wins, 33 of them have been achieved through knockout. He is well known for his hard hitting, and his chin which itself can take a battering. His biggest challenge to date was Jacobs, which went the distance and was won on a unanimous decision. Alvarez, who earned the nickname ‘Canelo’, meaning ‘cinnamon’ due to his red hair has a tattoo on one of his biceps that reads “No boxing, no life”. He has been boxing all his life, and has earned a living from the sport since the age of 15. Although he is nearly eight years younger than Golovkin, he still has an excellent record winning 49 or his 51 bouts. He is not a natural middleweight boxer, having dominated at welterweight and super-welterweight, he is stepping up to a new weight category. Any concerns that Alvarez would struggle to fight a big fighter were dismissed with a very convincing performance against Julio Cesar Chavez Jr back in May. It was immediately after this fight that he announced this week’s fight would happen; “Golovkin, you are next my friend […] Yes sir, it’s done”. Although this is a serious fight, and won that boxing fans are looking forward to, there is still good money up for grabs. Both fighters are due to pick up $15m for fighting, plus their share of the pay-per-view earnings. While Golovkin has the better track record, and a stronger punch, an unconvincing performance against Daniel Jacobs means the fight will be very balanced. The fight could happen at any time from 2am to 4am on Sunday morning so there may be some tired faces in offices on Monday. Golovkin is favourite with the bookmakers. He is priced at 1.61 to win on Sunday morning, although Alvarez is priced little over evens himself. Odds are accurate at time of publishing and are provided by Bet 365 (subject to change). 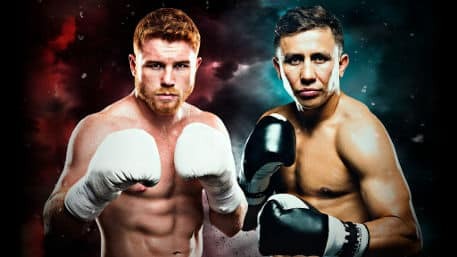 Price enhancements with the extra paid as a free bet – You can back Golovkin at 4/1 to win by decision or technical decision, or Alvarez at 9/1. If your bet wins, the extra winnings will be paid out as a free bet.